Let me start by saying that yesterday afternoon and this morningMinisters took another major step in our work to build the European Union of defence. We have agreed yesterday to first of all strengthen our civilian crisis management. Ministers adopted a civilian compact that contains over 20 political commitments toreinforce the European Union capacity to deploy civilian expertise. We have many EU civilian missions, 10 at the moment, but over time we have had 22 civilian missions around the world. I visited many of them. They are extremely appreciated by our partners, because they help building capacities and strengthening institutions and working on preventing and managing crises all around the world. 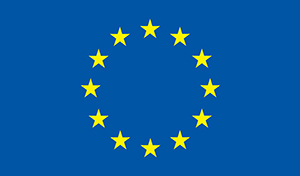 It is a unique instrument that only the European Union has in that way. And the decision to strengthen this first of all highlights that as we work on the military side we also work on the civilian side of security. And this would also allow to strengthen civilian military cooperation on the ground that is one of our – again – unique tools that are extremely appreciated and needed in the current security situation. The Ministers also took another important decision exactly one year after we launched thePermanent Structured Cooperation [PESCO]: they have agreed on 17 new projects that were adopted today. So in total we now have 34 Permanent Structured Cooperation projects. This shows that as Member States work on the implementation of the first round of projects that they have adopted, they have also come up with other proposals and this will help the European Union Member States to develop new capabilities. This is extremely important, because as you know strengthening European Union Member States capabilities also means contributing to the burden-sharing of the Trans-Atlantic Alliance. And this is why, I believe, NATO’s Secretary-General [ Jens Stoltenberg] today expressed full support to the work that we are doing in the field of security and defence. Because, as I said, if there is one way in which the European Union can contribute to Europeans taking more responsibility on defence, it is through more cooperation and more coordination among us. And then, the last element of the package, a very substantial one: the decision was taken to strengthen theMilitary Planning and Conduct Capability by 2020. It should be ready to also run a smaller-scale executive operation of about 2,500 soldiers alongside the responsibility it is exercising already for the military training missions of the European Union. In this way, the Military Planning and Conduct Capability that is here in Brussels will also be able to strengthen its cooperation with its civilian counterpart, the Civilian Planning and Conduct Capability and other EU actors. Two words on our cooperation with NATO: As I said, we probably would have not managed to do all of this in the European Union, if it was not for a strong support and the strong coordination with NATO. Some of the projects under PESCO – think of military mobility – also respond to NATO needs and priorities and it is not by chance that as we strengthened the EU defence work, we have also strengthened in an unprecedented way our cooperation with NATO. We are in particular working on military mobility, but also on hybrid threats and other issues. So it is overall, I think, a good story of a strengthened partnership. And the NATO Secretary-General [Jens Stoltenberg] today, I think, was very clear in showing his support to the work that we are doing and the way in which this is also strengthening the Alliance. Last but not least, we had with the Ministers an update on our missions and operations around the world. We focused in particular on three priorities. One is the work we are doing in the Sahel. We are regionalising our presence in the Sahel, making sure that we support the G5 Sahel and bilaterally all the countries of the region – from Mali to Niger, to the others – to invest in our own security by strengthening their capacities to tackle terrorism, on one side, and organised crime on the other. This is an investment in our own security. We also focused on our work in the Balkans that remain a priority for us, and also onOperation [EUNAVFOR MED] Sophia.